Summit Tour: Fly over the beautiful Snake River before crossing over the Tetons to soar along the tallest peaks in the range. Escape into glittering alpine lakes, distant waterfalls and wild canyons. 60 minute tour. Flight times: 9:00am, 12:00pm, or 3:00pm. Family Tour: Take your family on an aerial adventure of a lifetime. 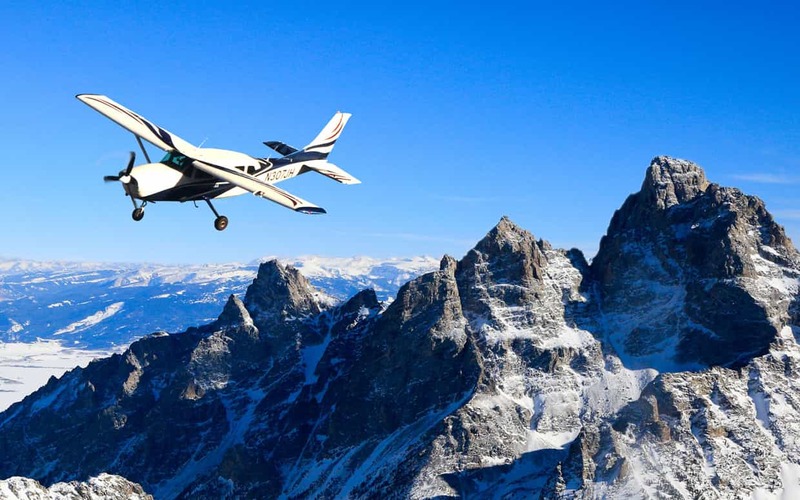 Fly into the untamed wilderness of the Gros Ventre Mountains before crossing Jackson Hole to explore the rocky spine of the Tetons. Learn about the legendary fur trappers and Native Americans who unlocked this Dynamic Landscape. 75 minute tour. Flight times: 9:00am, 12:00pm, or 3:00pm. Snake to Summit: Venture along the most remote wilderness area in the lower 48. Enjoy a view of the mountain ranges that stretch in every direction. 80 minute tour. Flight times: 9:00am, 12:00pm, or 3:00pm.